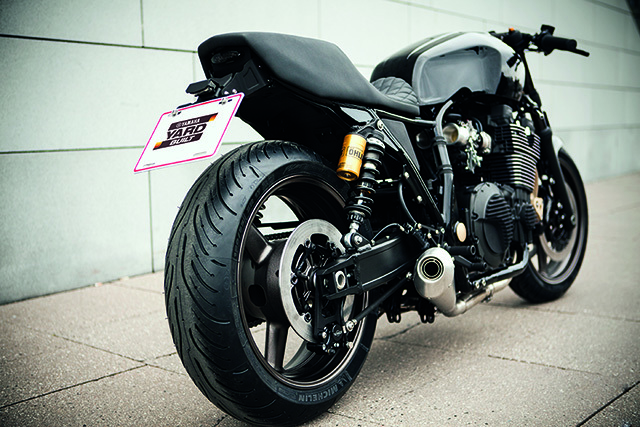 The 2015 Yamaha XJR1300 and XJR1300 Racer have design updates inspired heavily by the custom world, including a shortened and cleaned frame, narrower fuel tank and smaller headlight. The Wrenchmonkees were the first to take on the custom challenge with the new model. 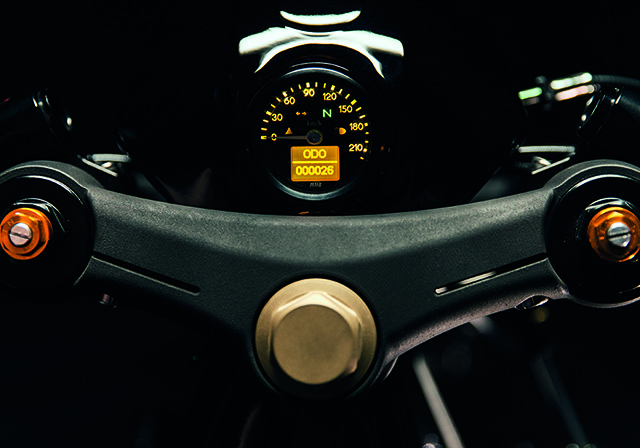 “The Wrenchmonkees provided valuable insight into this latest model of XJR with their earlier collaborations”, says Yamaha Motor Europe Product Manager, Shun Miyazawa. 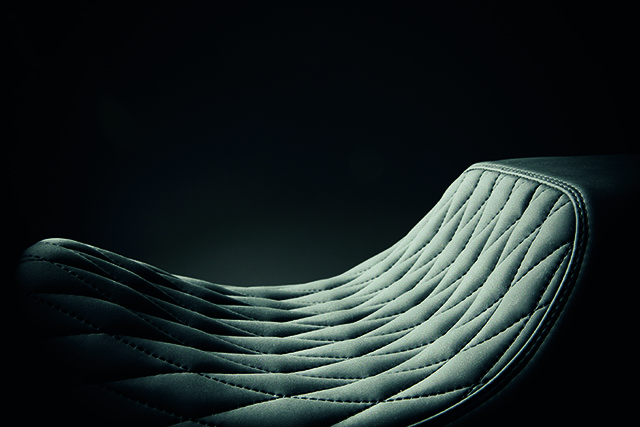 “Their Yard Built XJR1300 ‘Monkeefist’ was one of the ‘fathers’ of the 2015 XJR, providing essential inspiration to the modern design. 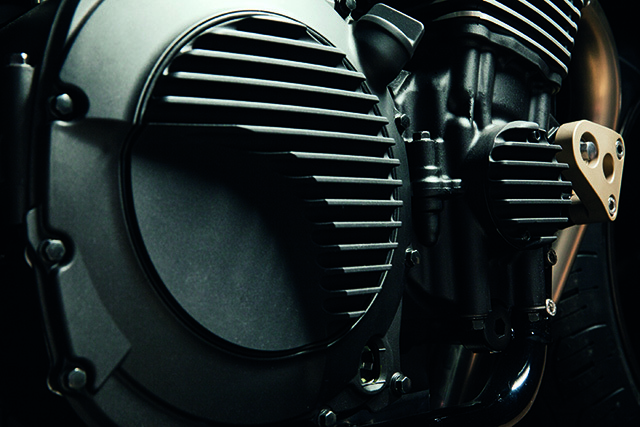 The Wrenchmonkees tracked down and modified the coolest and cleanest aftermarket parts to transform the bike. Handcrafted Wrenchmonkees parts, including CNC milled Wrenchmonkees ‘Monkeefist style’ aluminum triple trees and engine covers were also added. 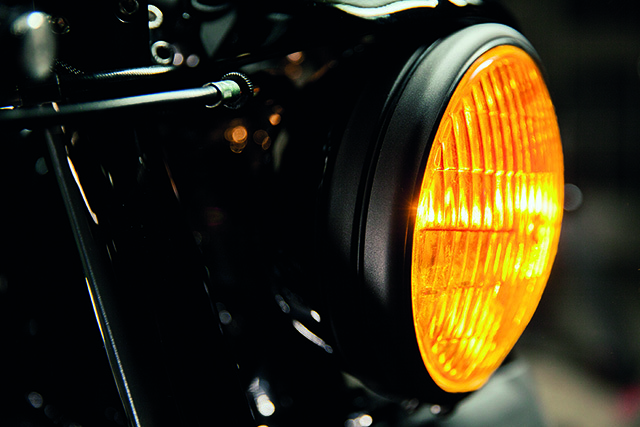 Further mods include LSL Speed Match black aluminum clip-ons and Biltwell grips, a neat MMB mini digital speedo with yellow light, above a unique custom WM yellow headlight. A full Beringer set up is added, including Hypersport brake discs, Beringer calipers front and back, Beringer brake master cylinder and matching Beringer clutch master. 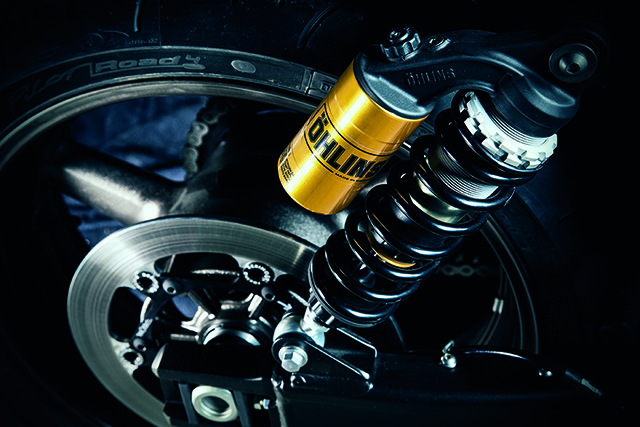 Matt black LSL aluminum rear sets have been customized in-house to give a more aggressive riding position reinforced by Öhlins STX 36 shocks on the rear. An LSL Titan steering damper keeps everything under control and a Wrenchmonkees custom rear bracket with LED light is the last thing you’ll see above a custom 4 into 2 stainless system with Wrenchmonkees/ Spark stainless mufflers. 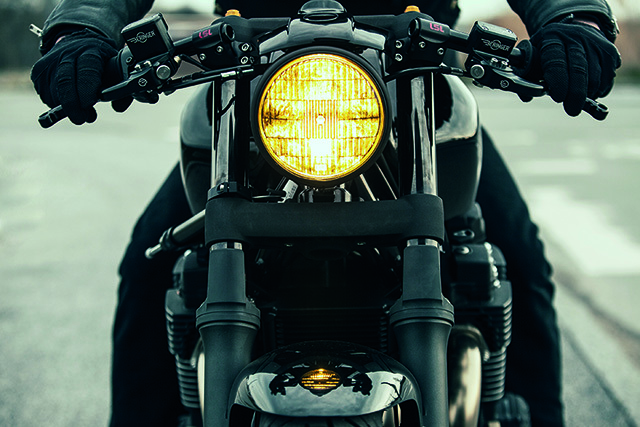 The finished bike is sublime, coated in a gloss black paint job with Skullmonkee tank emblem and a few simple gold touches, it is a fitting tribute to the 20th anniversary of this legendary street bike. 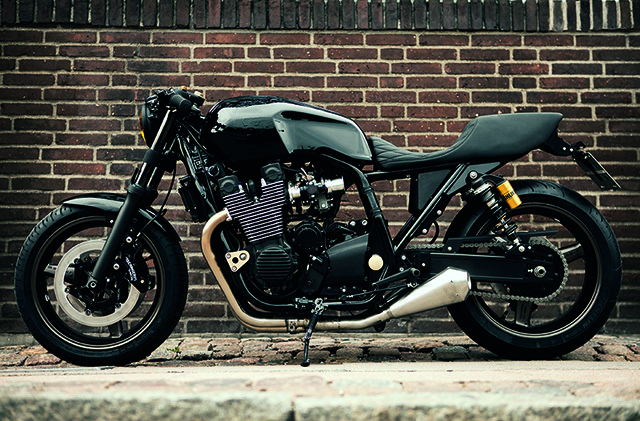 XJR owners can order Skullmonkee parts directly from the Wrenchmonkees website to add some serious Copenhagen style to their ride.